This content is provided by Hiroki Aoyama. Banking; structured finance; acquisition finance; real estate. Admitted in Japan, 2002; New York, 2008. 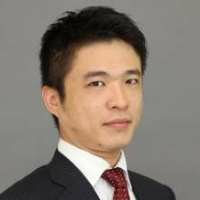 Lecturer at the University of Tokyo, Faculty of Law (2011-12); Member of Japan Association of the Law of Finance; Member of Japan Association of Private Law. Joined Mori Hamada & Matsumoto in 2002, becoming Partner in 2011. Worked with Debevoise & Plimpton, New York (2007-08). Graduated from the University of Tokyo (LLB 2001); Harvard Law School (LLM 2007).